Athletics Kenya announced its squads for the 2016 Olympic marathon on Tuesday and, just as was the case four years ago, there was some controversy. 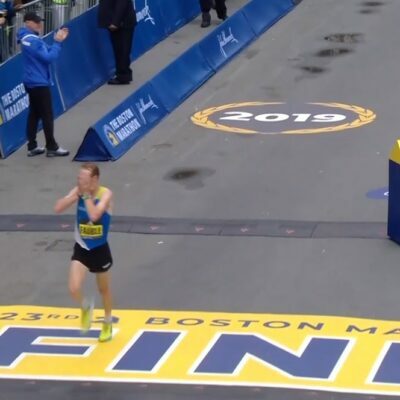 In 2012, Geoffrey Mutai, who was coming off the greatest year ever for a marathoner, with huge course records in Boston and New York, was left off after he dropped out of that spring’s Boston Marathon. This time, marathon titans Wilson Kipsang, Mary Keitany and Florence Kiplagat will all be watching the Olympic marathon on TV. Here are the complete squads, with reserves. Cyprian Kotut (reserve) 2:07:11 (’16 Paris) Won ’16 Paris, 2nd at ’15 Milan (2:08:55). No other marathons. On the men’s side, Kipchoge and Biwott were no-brainers. Kipchoge hasn’t lost a marathon since 2013 and is coming off one of the great marathon performances in history; Biwott won NYC last fall and went toe-to-toe with Kipchoge in London last month for 24 miles. With that said, we have a few thoughts. 1) The decision to pick Wesley Korir over Wilson Kipsang or Dickson Chumba or Bernard Kipyego is simply a dumb one. UPDATE: After publication, Journalist Chris Lotsbom has informed us that, per Kipsang’s agent, Gerard van de Veen, Kipsang withdrew his name from Olympic consideration due to Rio’s heat and humidity. It still doesn’t mean that there aren’t several athletes more qualified than Korir. Let us start by saying Wesley Korir is a great ambassador for the sport and an amazing person. A Member of Parliament in Kenya, world-class marathoner, and leader in the anti-doping movement all at the same time. Truly incredible. That being said, he’s not in the same class of runner as Wilson Kipsang. If this were another sport, the decision would be ridiculed. In the NBA it would be the equivalent of naming a solid starter who once hit a very big shot when everyone else was having a bad day (2012 Boston Marathon) to the Olympic team over an all-time great like LeBron James simply because James didn’t have a triple-double in his most recent game. Korir has finished 16 marathons in his career. 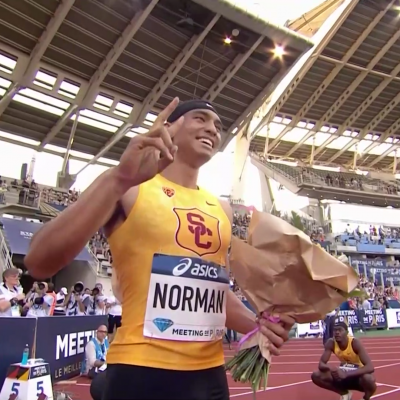 Guess how many times he’s finished in the top 3, which is obviously the goal at the Olympics, in those races? Contrast that to Wilson Kipsang. He has 15 marathon results listed for his career on tilastopaja.org (including one DNF). Guess how many times he’s finished in the top 3 in those races? In terms of time, guess how many times in 16 career finishes that Korir has broken 2:08? Kipsang’s career sub-2:08 percentage is 66.67% (10/15). But Korir is a great hot weather runner, you say. Yes, Wesley Korir paced himself correctly and won the 2012 Boston Marathon when the temps were in the high 80s. But what does that have to do with running well in Rio? It’s traditionally not super hot in August in Rio as it’s in the southern hemisphere. The men’s marathon will be held on August 21, 2016. Last year, the low (according to WeatherUndergound) on that day was 64 F (17.8C) and the high 75 F (23.9C) and the mean temperature was 70 F (21.1C) and that’s fairly typical for the end of August in Rio. The average temperate on that day is a low of 66 (18.9C) and high of 77 F (25C). The record high for the day is 86 F (30C). Wilson Kipsang has already proven he can run well in those types of conditions. Last time, we checked, Kipsang won a bronze medal at the 2012 Olympics In London on August 12, 2012. On that day in London, the low temperature was 59 F (15C), the high temperature was 80 F (26.7C) and a mean temperature was 70 F (21.1C) – exactly the same mean temperature that was in Rio last year on the day the marathon will be held. Yes, at age 34, we know that Wilson Kipsang is probably past his absolute peak in the marathon. But the same is true for Wesley Korir, who is only nine months younger. Just looking at their two most recent marathons, we give the edge to Kipsang. It just makes you wonder if Kipsang is being punished for a) being the head of the Professional Athletes’ Association b) for speaking up for his agent when Gerard van de Veen was suspended last year or c) dropping out of Worlds last year. Based on results, Korir certainly shouldn’t be on the team. 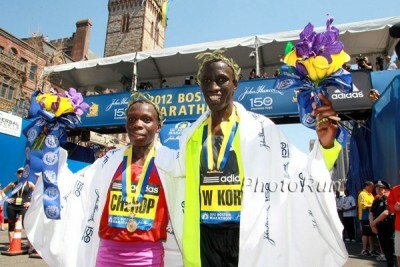 It’s not 100% clear that Kipsang should be the third member, however. A case can be made for Bernard Kipyego, who was ranked #9 in the world last year in our marathon rankings last year (Kipsang was #7) thanks to a 4th place showing in Boston and win in Amsterdam, as he has been running well of late as he was 2nd in Tokyo in February. 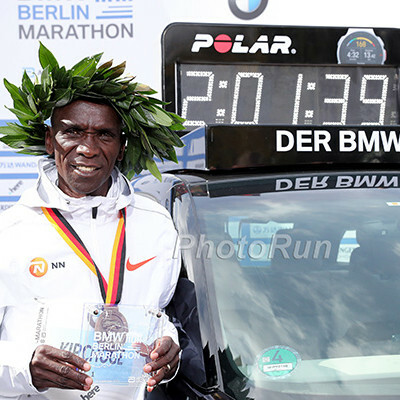 Kipyego has broken 2:08 in 10 of his 13 career marathons (71.4%) and finished in the top 3 in 9 of them (64.2%). The third placer in Tokyo this year, Dickson Chumba, also has a lot going for him as he won in Chicago last fall (and was third in Tokyo in 2015 as well). Chumba, whom we ranked #8 in the world last year, also beat Korir head to head in Chicago in both 2014 (finishing 6:37 ahead of Korir) and 2015 (finishing 1:14 ahead) though he lost to Kipyego head-to-head in Tokyo. Chumba has finished in the top 3 in 10 of his 13 career marathons (76.9%) and broken 2:08 in 6 of 13 (46.2%). Chumba’s agent Gianni Demadonna confirmed to LetsRun that Chumba was hoping to be selected but “he is not much upset because he knows that after his 3rd place in Tokyo his possibility to be in the team [was not great].” He said that Chumba’s plan is to defend his title in Chicago this fall if he is invited back (which he almost certainly will be). 2) What is Visiline Jepkesho doing on the women’s team? As with the men’s squad, we don’t have any problem with ⅔ of the team. Helah Kiprop was one second away from becoming world champion last year and is coming off a PR victory in Tokyo. Sumgong was seven seconds away from becoming world champion last year and just won London, the world’s most competitive marathon. But we’re baffled as to why Visiline Jepkesho was selected for the third spot ahead of Mary Keitany and Florence Kiplagat. So she’s run one career major (2015 Worlds) and in that race she finished 20th, last among the four Kenyans in the race. You can’t make the argument that she’s a good hot-weather/championship runner. She also hasn’t run particularly fast. Her 2:25:53 to win Paris on April 3 is only the ninth-best time by a Kenyan in 2016 and puts her #40 on the global 2016 list. Even her PR of 2:24:44 would only rank her 28th on the 2016 global list. Meanwhile, Keitany (#2, 2:18:37) and Kiplagat (#14, 2:19:44) both rank in the top 15 on the all-time list. 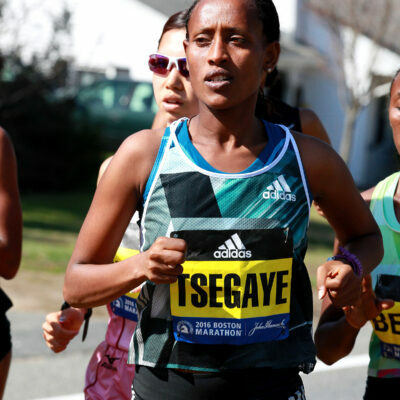 The one thing Jepkesho has going for her is her win rate: she’s crossed the line first in three of her five career marathons. But all three of them were lower-tier marathons (Milan, Lisbon Rock ‘n’ Roll, Paris) and she’s only broken 2:25 once in her life. 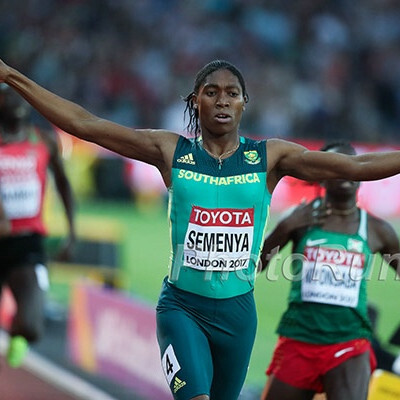 You could argue that Jepkesho has potential to improve since she only took up the sport recently (stats databases don’t have any results for her prior to October 2013) but she’s already 28 years old and the Olympic Games is no time to be experimenting. Either Keitany or Kiplagat should have Jepkesho’s spot. Keitany, a two-time London champ (2011, 2012), almost never runs badly (she has four losses at all distances since 2011) and defeated loaded fields to win NYC in each of the past two years (she was also the top Kenyan, second overall, in London last year). 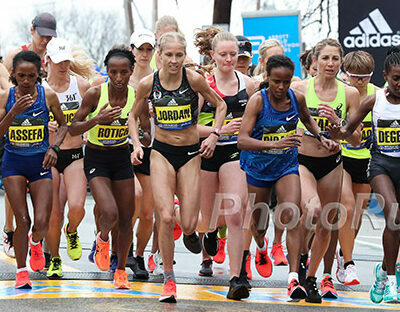 Unfortunately, she came up with an awful result at the worst time, finishing 9th in London last month. However, it needs to be remembered that in London, Keitany was running with the leaders at mile 22 and then was tripped which is a pretty good excuse for not finishing well (Sumgong was involved in the same fall, however, and got up to win the race). Update: Joe Battaglia has tweeted that Keitany wasn’t “keen” to be selected as she doesn’t think she’s having a great year. Even if you’re not willing to give Keitany the benefit of the doubt after her fall (it was a bit odd as she took a few strides after the contact between Sumgong and Asefelech Mergia before falling herself), Florence Kiplagat deserves to go over Jepkesho. Like Keitany, her PR is way faster than Jepkesho’s, Kiplagat won a major last fall in Chicago and she finished as the second Kenyan, third overall (ahead of Keitany), in a loaded race in London in 2:23:39 this spring. 2:23:39 for third in London is more impressive than 2:25:53 FTW in Paris. Heck, even Edna Kiplagat (no relation to Florence) deserves to go to the Olympics more than Jepkesho. Edna, the two-time World champ, was fifth at Worlds last year (eight minutes and 15 places ahead of Jepkesho) and ran 2:22:36 (#2 time by a Kenyan in ‘16) to take third in Tokyo in February. Edna may be 36 years old now, but she’s way more reliable in a championship race than Jepkesho; Edna has finished 5th, 1st and 1st at the last three World Championships. It’s tough to say who between Keitany and Florence Kiplagat deserves the third spot in Rio. We lean toward Keitany given her dominant track record (she was also 4th at the ‘12 Olympics) but if you want to take Kiplagat because she beat Keitany in London, we can’t really argue with that. But picking Jepkesho over both of them makes zero sense. *Previous from 4 days ago: MB: Kenya Names Olympic Marathon Team (For Real): Kipchoge, Biwott, W. Korir (M) + Kiprop, Sumgong + Jepkesho (W).